BLACK PEOPLE DO READ: Urban Fiction’s Impact on Black Literacy! My introduction to Urban Fiction in literature began with Mario Puzo’s The Godfather, which I read when I was eight or nine years old – a few years after going nuts over the film version, which released in 1972 and The Godfather II, which released in 1974. My love for The Godfather, led me to seek out gangster films and books with Black people as the heroes, thus became a lifelong (not so) secret love affair with Blaxploitation films and Urban Literature. 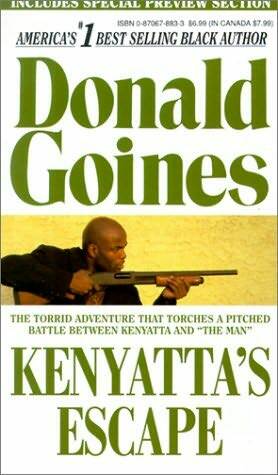 I could quote every line from Shaft, The Mack, Coffee, and my favorite, Gordon’s War and Donald Goines’ Cry Revenge had an honored place in the trunk that held my most prized comic books. The youth have always loved Urban Fiction. And not just tweens and teens from the inner city. Teens in rural communities also crave these gritty, action-packed stories. Leading authority on Urban Fiction, Dr. Vanessa Irvin Morris, claims that 93 percent of libraries across the country – both urban and rural – carry Urban Fiction in their collections. 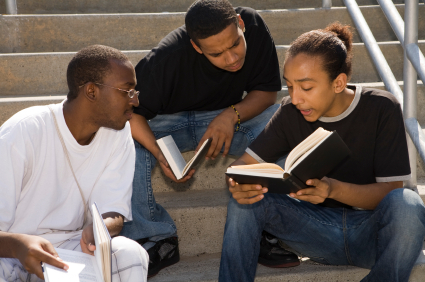 Librarians actively use Urban Fiction as a tool to create relationships with teens. “Street Lit” is bringing teens who normally do not read into the public library. And it is bringing adults who normally do not read to the brick-and-mortar and online bookstores. According to Dr. Morris, writers such as Teri Woods, Miasha Coleman, K’wan and Shannon Holmes not only outsell such renowned authors as Alice Walker,Toni Morrison, Richard Wright and other authors of classic literature, but even more mainstream authors, such as Dan Brown (The DaVinci Code) (Morris, V. J., Agosto, D.P., Hughes-Hassell, S., & Cottman, D.T. ; 2006; Street Lit: Flying off teen fiction bookshelves in Philadelphia public libraries. Journal of Young Adult Library Service, 5(1): 16-23). And the readers of Urban Fiction are loyal customers, quick to make a purchase and insatiable in their desire for more stories. Even with its popularity, however, Urban Literature still has its detractors – mainly African-American writers of contemporary and speculative fiction. While the authors of Urban Fiction may not possess a Masters of Fine Arts in Creative Writing, or may not have a clue what the Lumineferous Aether is, they do have a gripping story, interesting characters, a do-it-yourself attitude and extraordinary hustle and heart. And that is why Urban Fiction outsells every other genre of fiction on the shelf. So don’t hate; congratulate…and get your hustle up! While many of us moisten at the thought of recognition from some mainstream publishing company, the authors of Urban Fiction are possessed by an entrepreneurial spirit that enables them to self-publish and sell hundreds of thousands of copies of their books at bus stops, barber shops, beauty salons and street festivals. They don’t seek out mainstream publishers; mainstream publishers seek them out. And – more than any other genre – Urban Fiction inspires people to read and write. “But Street Lit glorifies drug dealing, murder and misogyny,” you say. Some does. So does some science fiction; so does some horror; so does some fantasy, romance and even some of the classics. However, there is Urban Fiction that gives the reader strong, independent and competent women, healthy, loving relationships, and characters with high moral standards. 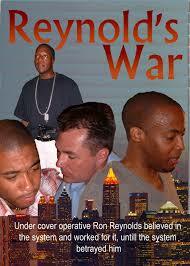 Furthermore, reading Urban Fiction can evoke necessary discussion on issues that plague us all. According to Dr. Morris, who is author of The Readers Advisory Guide to Street Literature and owner of the website, streetliterature.com, in Philadelphia, a group of librarians worked with hundreds of teens to determine Urban Fiction’s impact on our youth. They found that the relationships between the men and women characters in the books spurred much discussion. The girls, for the most part, originally thought that the male characters “were good to their women” because “they bought them name brand stuff”, but as they analyzed the books, they came to understand that most of the relationships in them involved verbal abuse and domestic violence. The most significant discovery for the librarians was that it was analyzing the books that brought about the teens’ awareness of abuse, which was not originally apparent to them. The students read the books and then came together to talk about what they had read and in doing so, developed a greater understanding of the dynamics of relationships and the tragedy of domestic violence. It is interesting that we reject Street Lit for its presumed misogyny and abusive relationships – which we most certainly should – yet we ignore the misogyny in such classics as Catcher in the Rye, or the abusive relationship in the Twilight Saga. We must make a stand against the abuse of women wherever we find it. If writers truly want to see a change in Urban Fiction, shouldn’t we create that change by contributing our own works? My mother has always taught my siblings and me, by example, that if you have a problem with something, don’t complain, do your part to fix it. I like to grow a scraggly beard sometimes – I just do, okay? – and my mother hates it. She’ll say the same thing every time she sees my beard – “How much does a shave cost?” She will then proceed to reach into her purse, pull out the exact amount for the shave and hand me the money. Now, she could easily say “You look like a hobo, son. A shave is only six dollars…go get one!” Instead, she pulls out her money – and pulling out the exact amount tells me she was prepared to act if I sported that hateful, unkempt beard – and hands it to me. No complaining; just action. It’s her way…and it’s one of the many great things I love about her. Ironically, it is also the way of the authors of Urban Fiction. They are warriors; not worriers. Stories are fast-paced and action-packed, often with elements of romance. The style is straight forward and cinematic – like a movie in your head. The protagonists are usually anti-heroes. Readers relate to the story, setting and characters. While readers tend to be African-American women, ages 18 – 35, Urban Fiction also attracts more male readers than any other genre – many readers feel that if something can get men and boys to read, it is powerful indeed. There are many parallels between Urban Fiction and Hip-Hop. Ezekiel Cross is a cold blooded killer. He works for ‘Sweet’ Danny Sweet, owner of Sweet South Records, the second wealthiest music label in the country. For most of his life Ezekiel has been a killer, trained from a young age to enforce the whims of his boss. But Ezekiel is tired. He longs for the day that he can hang up his guns and live a normal life with his wife Mali. But the life of a killer is never his own. Ezekiel is called to do another hit, but instead of closing the deal he finds himself the target of a different kind of hit. He’s sent back into time and finds himself in a situation that could change his life forever…or end it. Redeemer is the latest novel by Balogun Ojetade, author of the Steamfunk novel, Chronicles of Harriet Tubman, the Sword and Soul novel, Once Upon a Time in Afrika, and my Sword and Soul brother. I had the privilege to read Redeemer earlier this year in manuscript form and was immediately blown away. The book is filled with action, drama and humor as only Balogun can write, but with Redeemer he takes his penchant of mashing genres to another level. For months I’ve read different manuscripts attempting to mesh urban fiction and science fiction in an attempt to capture a piece of the urban fiction market. None of those I perused had of a much chance of success in my opinion. The authors either kept too much urban or too much science fiction or too little of both. After reading the last page of Redeemer I smiled and said to myself, ‘this is it right here.’ A story with a touch of science fiction, a dose of urban fiction and a wallop of great action and great character development. If there was any book that would combine the two genres, Redeemer is it. Now I know a few of you are saying, ‘doesn’t this plot remind you of Looper?’ Well, let me clear that up as well. Balogun first shared Redeemer to me as a script almost two years ago. Unfortunately for me I didn’t read it. He passed it along to me again as a novel later and the rest is history. Even if you persist in that thought mode, I urge you to put those thoughts aside and read this book. It takes a different journey, one that is as much heartfelt as it is action packed. And it comes with an ending that will make you smile. Now, that’s all I can reveal without spoiling all the fun. I give Redeemer 5 out of 5 stars. Balogun once again shows his skills as a writer that can take different genres and make them something fresh and new. You can purchase Redeemer here and here. You won’t be disappointed. “Redeemer” – One of the best reads ever! I teach drama and creative movement at a private school in Boston. I am also the sponsor of the Avid Readers Club at the school, which I enjoy because I have always loved to read and I have books that I love from EVERY genre. Though I have literally (pun intended) read thousands of books in my lifetime – I average about a hundred a year – I have never written a review of one. Until now. I just read the latest book, “Redeemer”, from Balogun Ojetade, one of my favorite authors. Redeemer is unique in that it successfully combines the best of urban fiction with the best of science fiction into a story that is nothing short of incredible. I intended to devote a couple of weeks to Redeemer – to read it between grading papers and doing laundry on my weekend afternoons. I ended up reading it in one sitting, with breaks to answer the call of nature, or to briefly hop on Facebook to tell folks how great Redeemer is. Redeemer truly elevates urban fiction; not only because it is well-edited, original and does not degrade women – qualities sorely lacking in the genre – but because it is a heartfelt tale of fatherhood. Particularly how a father’s relationship with his son can have powerful consequences, for better or worse. This gritty and exciting story is the tale of Ezekiel Cross, a hit-man who wants out of the game. He resigns from a life of organized crime and killing with the permission and blessings of his crime boss, “Sweet” Danny Sweet. Or so it seems. Danny Sweet actually sets Ezekiel up and uses him in an experiment in time travel. Ezekiel is sent back thirty years in time. Initially distraught, he decides to change his fate by saving himself and his family from the events that led him to a lifetime of crime. Along the way, he meets some of the coolest, sexiest, deadliest and craziest characters to ever grace the pages of a book. Besides Ezekiel Cross, one of my favorite characters is Norm, a giant Black Cockney attorney and master assassin. Another is Lala, legendary contract killer and fashionista. Redeemer is going to go down (or rise up) in history as the novel that finally got it right. That took two wildly popular, and sometimes opposing, genres of fiction and married them. And oh, what a matchmaker Balogun Ojetade is! With such masterful matchmaking skill, maybe he can hook me up with my future husband, Idris Elba! It’s in the cards, Idris. It’s in the cards. Many fans of urban literature don’t read science fiction because they don’t see themselves in those stories and many science fiction fans don’t read urban fiction because they believe urban fiction to be poorly written, poorly edited and full of cliché. Neither side has done enough research. Great books can be found in both genres. Redeemer is such a book and is the best mash-up of both genres. EVER. I won’t reveal anymore. You’ll have to read the book. You’ll be glad you did. Ezekiel Cross is handsome, strong, intelligent, in love, and a ruthless assassin. After years of lying to his true love, Cross decides to finally end his career as a professional killer and become the man his parents would have been proud of. After telling his employer, `Sweet’ Danny Sweet, of his intentions to retire, Sweet sends him on a final assignment. Trouble is, it’s a trap. Cross travels back in time in what was meant as an experiment as well as punishment. Although Cross is determined to return to his own time and wreak revenge on those that betrayed him, he sees his leap back through time as an opportunity to fix things involving his life as a young man. However, his actions have created events that may cause even more damage to the timeline. 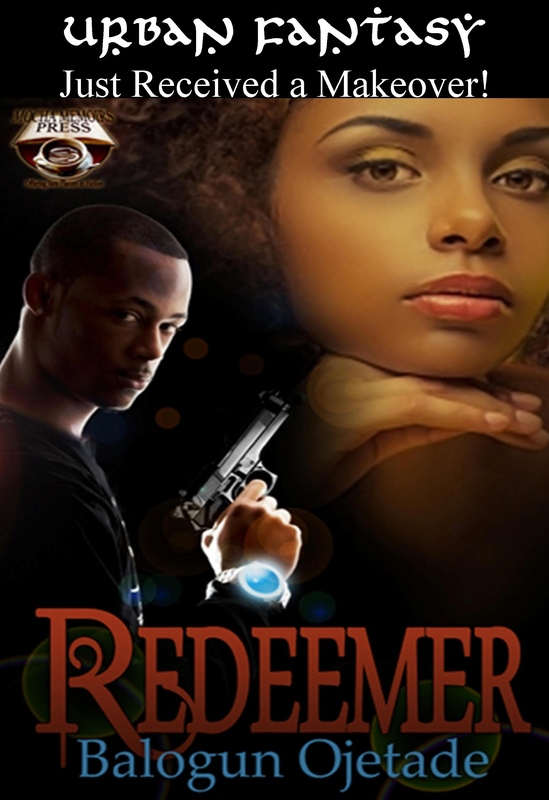 Redeemer by author Balogun Ojetade is an innovative novel that is highly addictive, fast paced, and entertaining. The author would like to thank the reviewers of the novel, Redeemer and a special thanks goes out to Dr. Vanessa Irvin Morris, who provided the bulk of the research for this article. Posted by Balogun on June 21, 2013 in Afrofuturism, Dark Fantasy, Fantasy, Science Fiction, Street Lit, Urban Fantasy, Urban Fiction and tagged black science fiction, street lit, urban fantasy, urban fiction. 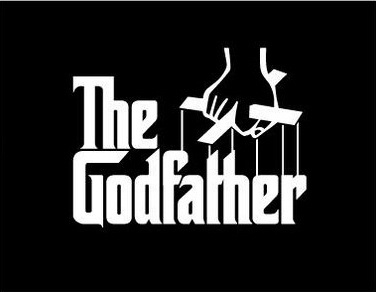 I love The Godfather movies! I still want to read the book. I’m just glad to know that we are writing any and everything, filling in where we see a void. And it’s good work too! The Godfather is a great read. I agree, Sheryse, great authors like you fill a much needed void and the work is Blacktastic! Thanks! 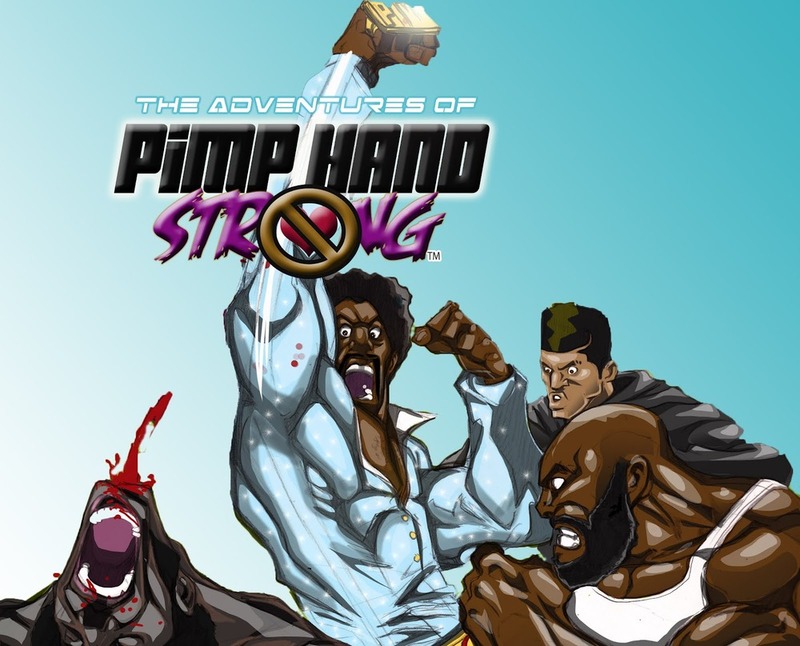 I read the first issue of PIMP Hand Strong! A great example of an Urban Lit / Science Fiction mash-up! Thanks for commenting! I really need to read Redeemer now. It sounds cooler every time I hear about it! The bit about people’s concerns about misogyny in urban fiction reminds me my favorite sociology book, The Culture of Fear by Barry Glassner. Glassner’s book is about how many Americans, either by accident or manipulation (often both at once), are made to fear the wrong things. An entire chapter is devoted to fears regarding black Americans, with a section on hip hop controversies. Glassner quotes the American media of the ’80’s and ’90’s on the anti-social and misogynistic themes in hip hop, but then pointed out the exact same themes can be often found in rock and country music, and they didn’t receive the same level of scrutiny. He even points out newspapers that more or less said, “Well, Tupac acted like a thug, so he got what he deserved.” It’s a very depressing but eye-opening book. The old double standard. I’m going to acquire Glassner’s book right now! Thanks, Fujimoto! You’re welcome, Balogun! I hope you like it! It is rather old though, coming from around 1999 and the newest edition has a chapter looking back from 2010 on how fears have evolved in America. I do think a lot of it is important to examine though. Double standards are covered heavily in the book. I started out vehemently opposed to the idea of Urban Lit, but Ive since become a lot more open minded about it. I don’t read it myself, as I’m strictly into SFF geek material, but as a librarian I’ve seen some fantastic goings on in my local library. Black teens, especially young black men, reading. For fun! Reading as a form of personal entertainment! What a wonderful concept. I figured that anything that can get black youth into the library just for fun can’t possibly be that bad. It also gives me an opportunity to access them about a topic we both love in common -books. And to recommend other types of books (especially a little speculative fiction) once I’ve got some idea of their tastes. I probably still wont read much of the stuff unless some strong SFF elements are added (Maurice Broaddus, we’re looking at you) though. Thankfully, “Redeemer”, is popular with teens and adults. It is urban fantasy (SFF) with urban fiction elements. Maurice’s Knights of Breton Court series was a great source of inspiration for me. If “you don’t read, you don’t know and will never find out..” Please read the new controversial book” The Unfinished Business of The Civil Rights Movement: Failure of America’s Public Schools to Properly Educate its African American Student Populations..” Its currently available on Amazon.com, or Rosedogbooks.com.. Wonderful post! Congrats too, Brother Balogun, on the sucess of Redeemer 🙂 I can’t wait to read it! Please forgive that it’s taken me a couple of years to read this article. It wasn’t until a few moments ago that it existed! I thank you for a wonderful read in support of Street Lit/Urban Literature. I am a passionate advocate for us, as a people, not judging one another for our reading tastes, and instead, support one another for the fact that we do, in fact, read – voraciously. I love us! Thank you thank you.